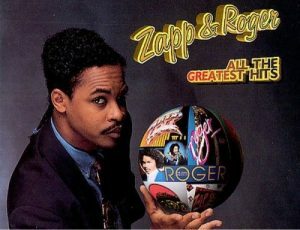 No Ohio Funk artist or band has had a greater influence on the Hip Hop generation–and no artist or band is more beloved than Zapp featuring Roger. Founded in Dayton in 1978, Roger Troutman was a guitar virtuoso and a funk genius. To his credit and theirs, Zapp absolutely ROCKS the house when they perform live. “More Bounce To The Ounce,” “Computer Love,” “Dance Floor,” “I Can Make You Dance,””Doo Wah Diddy,” “I Want To Be Your Man,” “It’s Gonna Be Alright” and “California”- – -need we say more? These songs sound as fresh and danceable today as they did decades ago and Zapp plays them true to form. Surviving Troutman brothers, Terry on keyboards and talkbox, and Lester on drums (as well as a cousin, son and nephew) carry on proudly and well for their late brother, Roger. 200-355 best depression anxiety medication.